Literally I bought this bike on a dare. Last Sunday a friend of mine was ragging on me for still playing with my 2009 Yamaha R1. I've got basically every suspension upgrade you can think of and the motor is currently at KWS Motorsports getting some love. 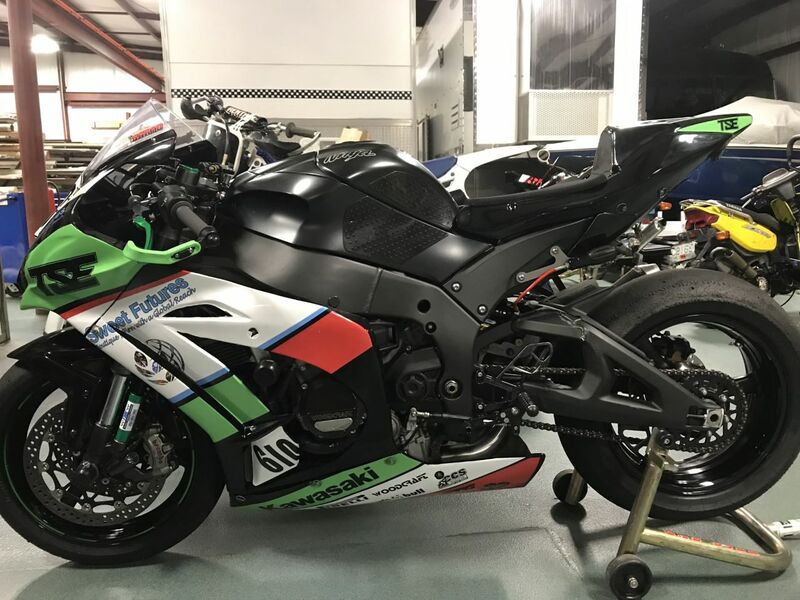 He made a good point that this bike will never truly match up with the current liter bikes and that I should stop spending so much time trying to make it on par with bikes like the ZX10R, S1000RR or the current R1. 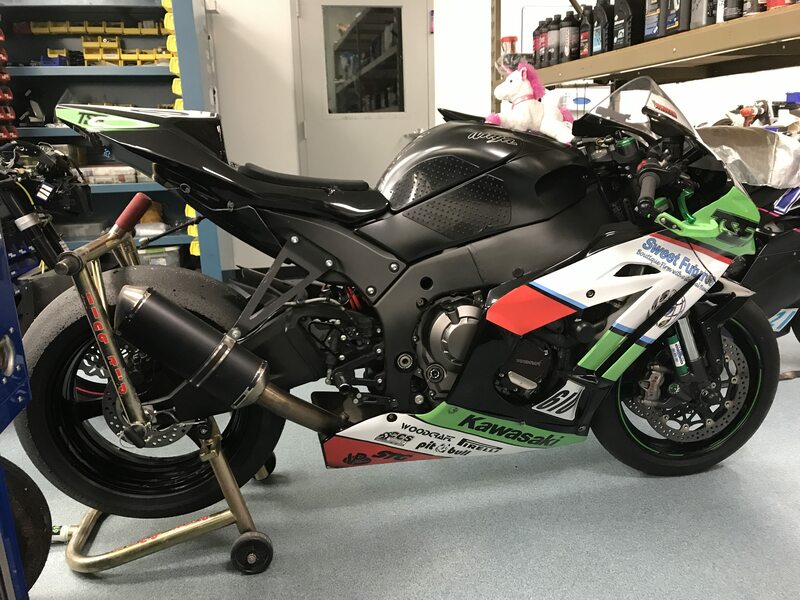 So I dared him to find me a TRACK READY bike (specifically a 2016 ZX10R or newer) for $10,000. I figured there wasn't a snowball's chance in hell he'd find one. 10 minutes later I get a text with a link to this bike. 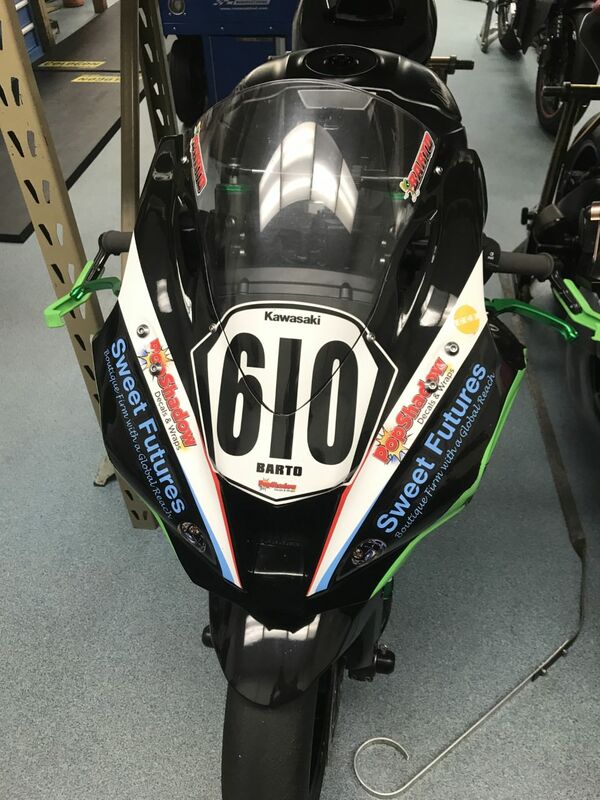 $10,950 OBO for a bike with 2094 miles... Stuned that he was able to find one, I grudgingly offered $10,500 then the owner countered with $10,700 + a new set of Pirelli SC1 slicks and the deal was set. The whole transaction took less than 24hrs to complete. That's the LAST time I dare him on anything! So this might not be that interesting to some but I wanted to start a thread to capture all the data from this new adventure I'm about to embark on. First things first, the bike is mostly setup already. I purchased a '16 Gen5 that was used for in CCS club racing since it rolled off the showroom floor. It was also used at the Daytona 200 at least once and the owner won his class (Formula 40 I believe). The bike was completely setup and maintained by TSE up in Wisconson. 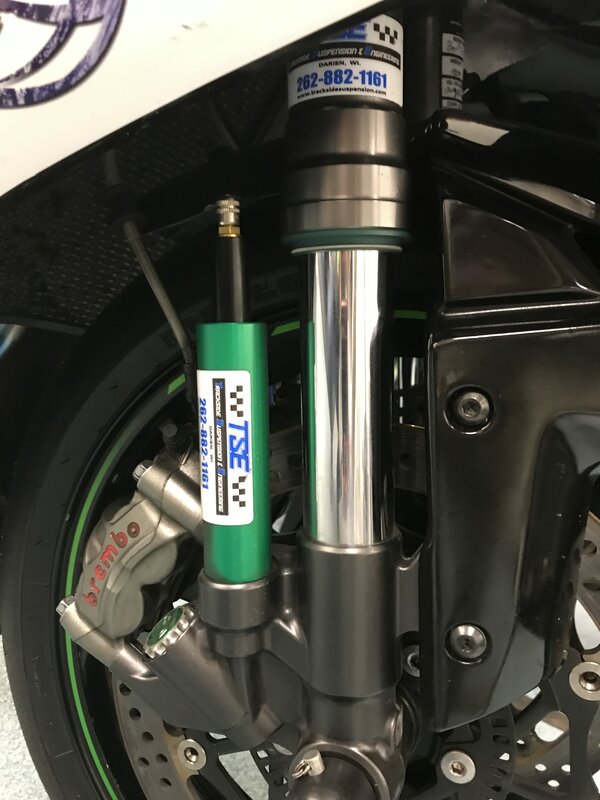 Track Side Suspension Engineering Trackside Suspension & Engineering | Motorcycle Suspension For You did some prototype custom valving to the SHOWA forks which I'll get into detail on later. 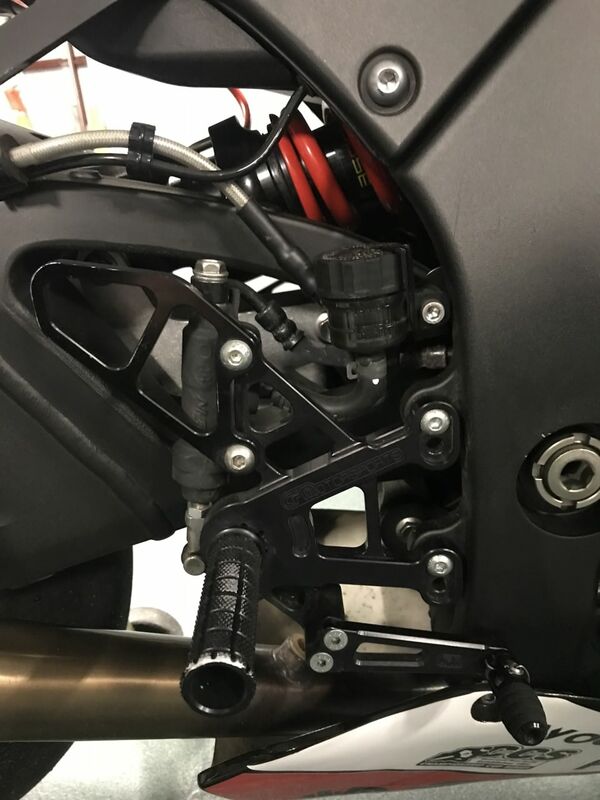 They also installed a K-Teck DDS Pro rear shock. That's about it for suspension actually, but I can't think of a better way to enter a superstock class for less money vs performance. I guess maybe full Ohlins carts/rear shock would be the top tier but you don't necessarily need that level of performance if you (the pilot) needs more improving than the bike. For power, the trend of simple/economical parts continues. There's a Hindle slipon with a decat pipe and a flashed ECU. Done...the shift pattern was switched to GP during the flash as well but the blipper function wasn't activated (which I find odd actually). Woodcraft is the other major vendor to get some love with all the protection goodies and egro's coming from their catolog. 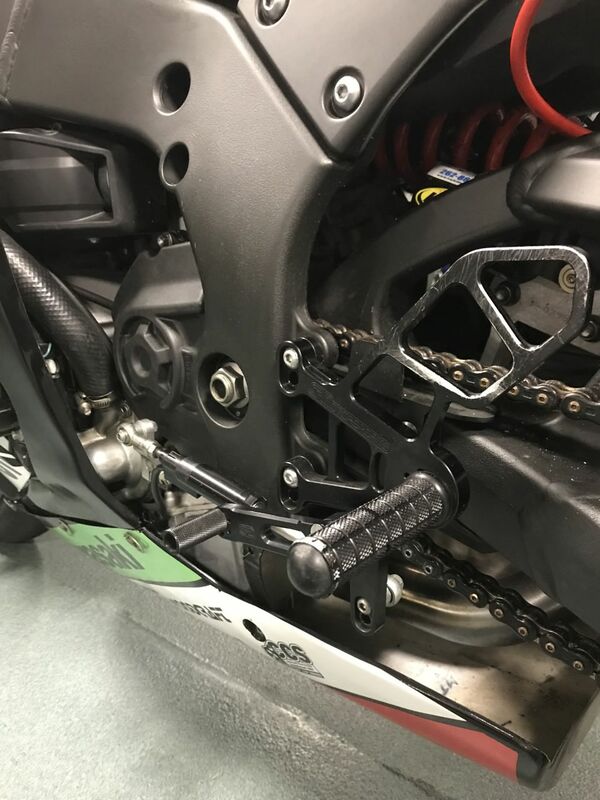 Rearsets, clipons, lever guards, case protectors, frame sliders, axle sliders and rear spools are all installed. 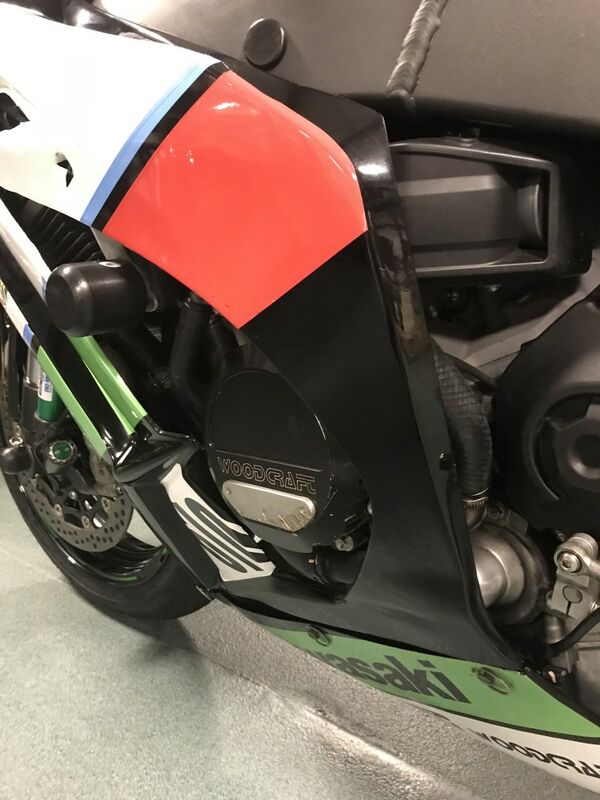 So, I'll be picking the bike up on Friday and start going through it to get familiar with the Kawasaki way of doing things. Plans for the future include A LOT of kit parts and as much weight loss as I can make happen. Let see where this goes! trackaddict, Bikeman1000 and vroomshankar like this. Last edited by Neonmarine; 03-09-2019 at 12:08 PM. def got a good deal on a good horse. 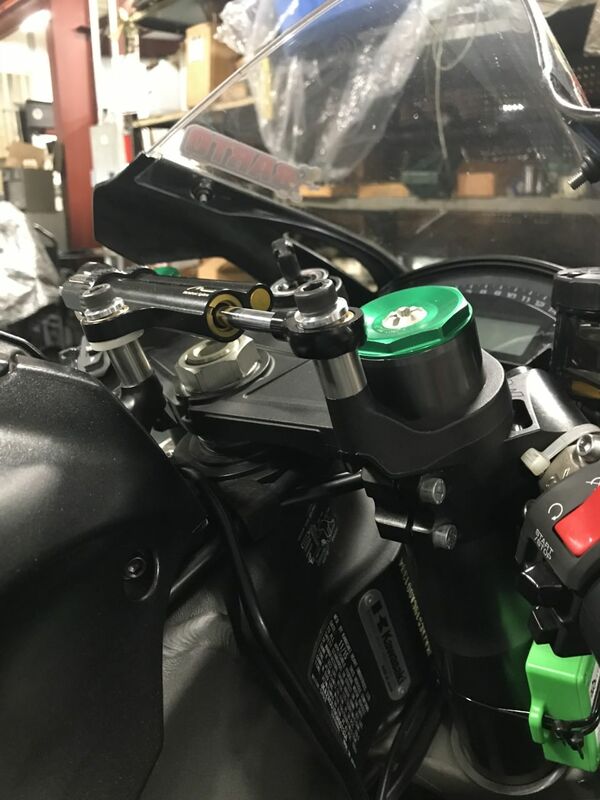 I need to find that K-Teck knob holder that mounts in the passenger foot peg location. 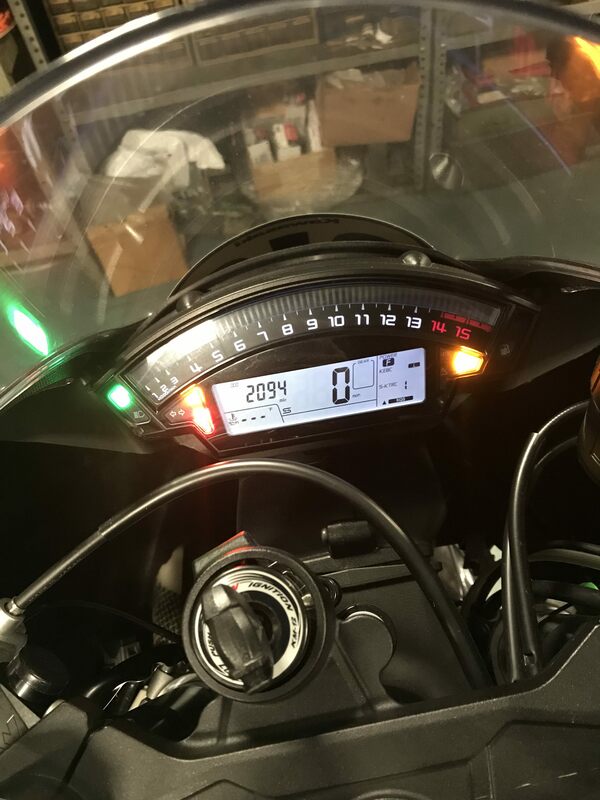 i think you will enjoy the new electronics on that bike. The IMU is powerful. I'm really interested to see what (any) electronics feel like. My R1 has zero rider aids if you don't count the QS and slipper clutch hahaha! From what I've read the Gen5 really is a significant stepping stone vs the Gen4. 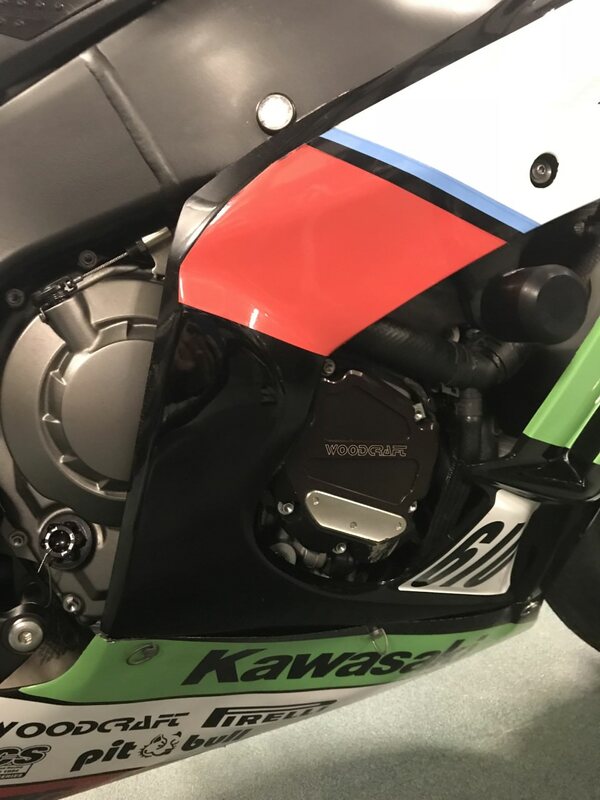 I remember when the 2011-15 ZX10R was considered one of the top 2 liter bikes on the market next to the BMW but there was an less than refined nature about it that most people had issues with regrading the electronics. Then the 2015 R1 was released and made a huge step forward in what we now consider the standard for all liter-bikes. All in all, I'm glad I waited to get a bike with rider aids. It has allowed the first versions of all the bikes to have time with the customers and the manufacturers have made improvements. As a track only rider, I don't care about all the street stuff with these bikes, so my focus is just with outright performance and factory support. Right now no one supports the racing community better than Kawasaki and this was a huge reason for my switch from Yamaha. hope the ex owner wasn't racing it with the front dropped so much, it's gotta be shaking its head all the time and dragging everything at full lean. CanyonCarver, GreenWeenie, 08zx10rny and 2 others like this. Ya, I noticed that - wondering why the heck those forks are so high in the triple. Odd. GL with the new bike OP, they can scoot (not something I'm taking much advantage of yet, but starting to LOL). Special thanks to my 2017 sponsors and supporters!! 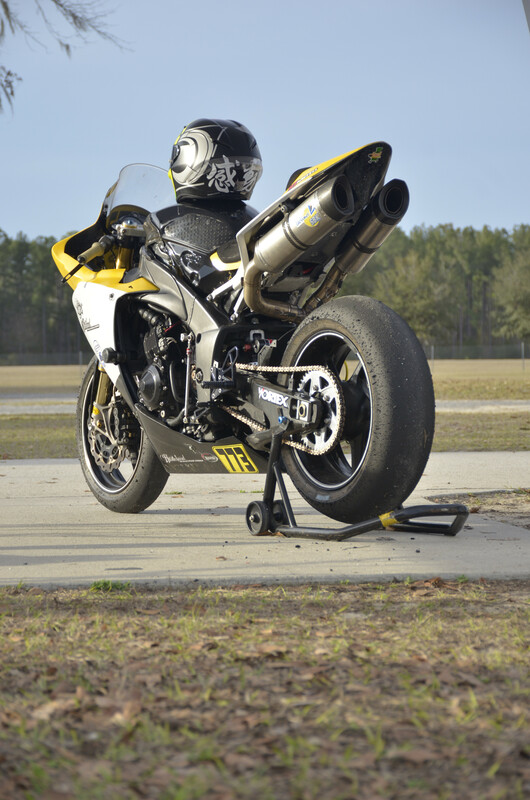 They forks are extended 20mm and the bike was last raced at Daytona. There's a lot more that I need to explain about the TSE modifications to the Showa forks, but I'm going to wait until this weekend after I visit TSE and get the full lowdown. First of all, congrats on what looks like a solid package and a good entry-point price. With a lot of the build already done, which takes time and money, you can dive straight into the good stuff. If I may suggest, kit ecu/harness/adapter will open you up to all the electronics settings to mess with. Coming off of gen4 with kit ecu, the evolution in sophistication of electronics is all too evident. It's also a bit easier to get confused and mess things up if you're not careful and change too much at once but it's well worth the investment. Some folks go with ftecu of woolich and they're not bad but kit box is a kit box; clean and no messing about. With respect to fork travel, an additional 20mm travel seems quite a lot. Stock fork travel is 120mm and there are different schools of thought about additional 5-10mm with 10 having some adverse effects. Although I run Ohlins, I stuck with 125mm travel as it is a known-good range. Word on the street, Bobby Fong ran 128mm travel on his Latus bike, which is telling. There's other cool kit stuff as well, I'm sure you'll get it all figured out as you go. Good luck and keep us updated on the progress. Tsmathers33 and Neonmarine like this. Agreed on all counts, the extra 20mm of travel is something that I didn't understand on this bike. It already has years of trail and a longer wheelbase so why add more (especially so much more). 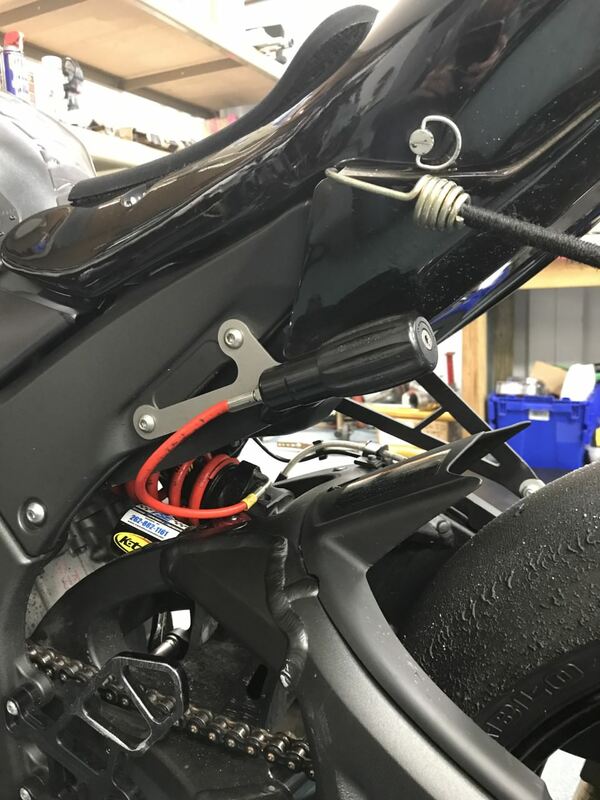 On my R1, I have the Ohlins FGRT 808 forks with the modification to extend them to 130mm. On THAT bike, it works well do the the stubby nature of the chassis and the point/shoot style of riding it loves. I know andreani we’re doing 10mm extension but still running the forks near flush. 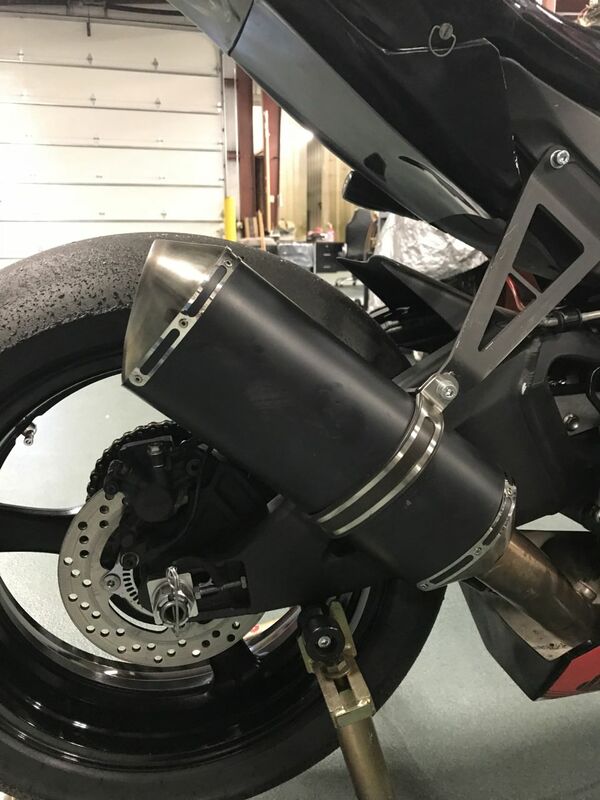 Interested to see why they went with the extra 20mm and if they suggested having the forks through the triples so much.